The Beat the Street scheme to encourage people to take more exercise is set to go! Cards are now available from local GP surgeries, libraries and leisure centres and a map has been published showing where the Beat Boxes will be. The scheme officially runs from 1 May to 4 June, and you can register on the Beat the Street website from Wednesday 30 April. Beat the Street was rolled out in Caversham last year for three months and was a great success, with over 5,000 participants walking the equivalent of more than twice round the world. The scheme is going to be rolled out across Reading for the month of May 2014, with the aim of 36,000 participants walking the distance to the moon! 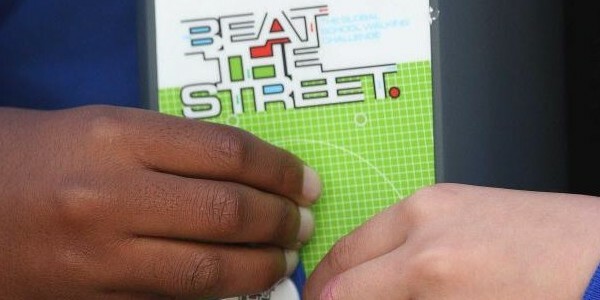 An individual swipes a Beat the Street card against an electronic unit called a Beat Box and registers their activity. Cards must be swiped at another box within one hour to register a point. By being active the individual earns points which get placed on a secure website. They earn points for themselves, their team and Reading. There will be 130 Beat Boxes spread all round Reading, with one at every school and many more at other locations. Schools will hold their own competitions, and local organisations will be encouraged to organise their own competitions too. More details and a map of the Beat Boxes can be found at reading.beatthestreet.me. How do you know how many points you’ve got? You can see how many points you’ve got by going to http://reading.beatthestreet.me/, entering your card number in the box and clicking CHECK. Good luck!